Welcome to the season of over-eating. First, there’s Thanksgiving with all its abundance. And since everyone else is eating too much it kind of gives us all permission to indulge. What’s one more bite of pecan pie when you’ve already exceeded your caloric intake for . . . the week? Then the build up to Christmas. Cookies, candy, “special treats.” Just log onto Pinterest and check out all the holiday recipes. I, for one, can just about eat my weight in that toffee you make from Saltine crackers. There are plenty of people in this world who are not only not indulging, but who are desperately praying for enough food to feed their families. And plenty of them are right here in my/your neighborhood. Children are going hungry. 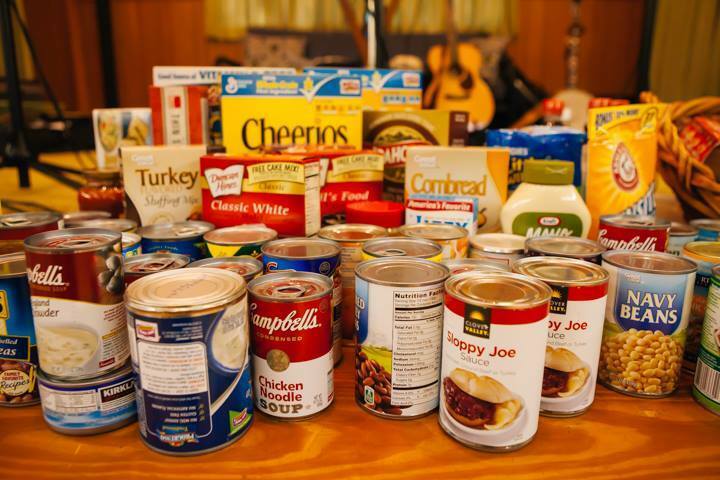 Food pantries are turning people away. People are choosing between eating and heating their homes. And the good news–the fabulous, wonderful news is–we can do something about it. In Miracle in a Dry Season Perla helps feed the community of Wise, WV, during a terrible drought. You and I can do the same. Here’s the challenge: Take a photo of yourself with a donation for your local food pantry and post it to my Facebook page between today and Sunday, November 30. On December 1 (my birthday!) I’ll randomly select one donor to receive a signed copy of Miracle in a Dry Season along with a copy of Every Waking Moment by Chris Fabry–another West Virginia author. Together, we can help feed the hungry. Happy Thanksgiving!